I’ve been complaining for a while about having trouble finding a race boot that doesn’t flap around on my foot – cos chickens have fatter ankles than I do. 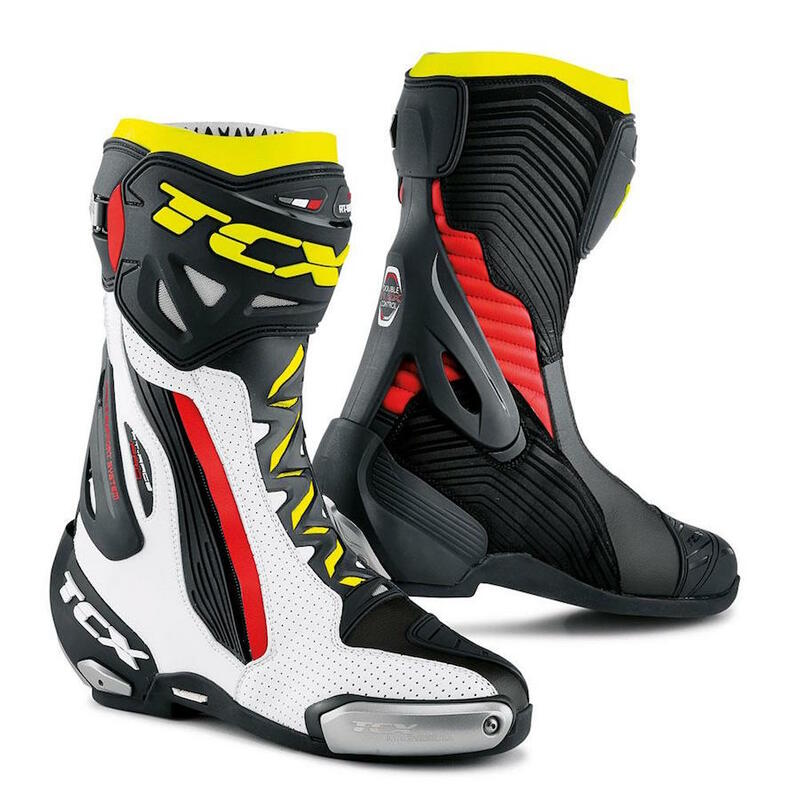 The search for a new boot to replace my current comfortable but well-passed-their-use-by-date pair has been dragging on for too long, but I may have found what I’m looking for in the TCX RT-RACE Pro Air boot. If you love comfortable boots and acronyms, then these TCX boots will tickle your fancy. They have the F.F.C. (Fasten Fit Control) lacing system for comfort and a secure fit, plus D.F.C. (Double Flex Control System) for safety. They also have titanium heel and toe sliders and plenty of ventilation to keep your feet cool. 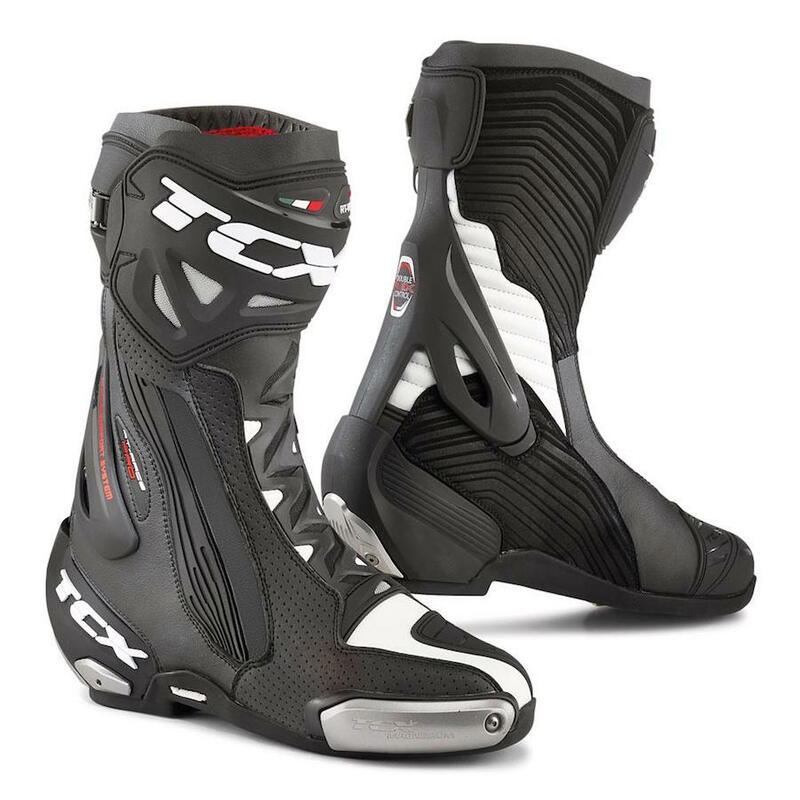 Speaking of cool, Troy Bayliss wears TCX boots so they must be good – right? The Fast Fit Control lacing system has already fixed my secure-fit ankle problem, and time will tell if their comfort level matches their looks.